The first and foremost critical decision you will need to make when moving forward with building your dream home is to hire the right building contractor. You will want to find a builder who has a reputation for both quality and reliability, and that will also treat you fairly in terms of pricing. The best place to start when considering to hire a builder is to look at his previous work. Make sure you get references from the prospective builder and check them out. Note that when getting references; make sure the builder gives you references that are similar in scope to your project. Most homeowners are more than happy to give you feedback on their experiences with a builder, and their home building project. They will share not only their experiences with the particular builder, but will more than likely also give you some other useful tips on having your dream home built. 1) Did the builder and you review and sign off on architectural drawings and budgets prior to the start of work? 2) Did the builder review with you the extent of work required of you, in terms of selecting materials, such as cabinets, appliances and lighting. 3) Did the builder provide you with a list of preferred vendors to choose from such as flooring, lighting, etc.? 4) Did the builder communicate with you regularly and through any type of formal process? 5) Did the builder explain a change order process, for the case where you wanted to make changes during construction, and if so how did the process work out? 6) Was the builder approachable and reachable? Did he always get back to you quickly? 7) Did the builder give you regular updates on the status of the project, both in terms of construction and keeping to the budget? 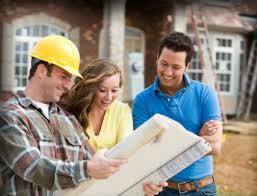 8) Were the builder’s employees and subcontractors approachable and helpful? 9) Was the quality of the builders work to your satisfaction? 10) How did the builder handle problems as they came up during the building of your home? 11) Have you had any problems with the builder’s workmanship since he completed the project and if so did you contact him and did he correct the problems? 12) Was the over all experience with the builder a positive experience and would you work with him again? 13) Did the builder provide any financing to you during the construction and if so how was that experience? This list of questions is a key starting point in hiring the right builder for building your dream home. 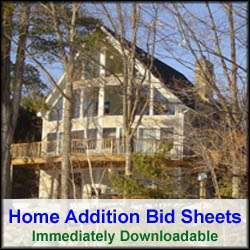 To learn more about making sure you hire the right builder for your dream home project see HomeAdditionPlus.com’s Home Addition Bid sheets. They will make sure you get the finished home or home addition built to your satisfaction.